Trainer Chris Munce gives his reaction to the barrier draw for BOOMSARA ahead of Saturday's $2 Millions Magic Millions 3YO Guineas (1400m). 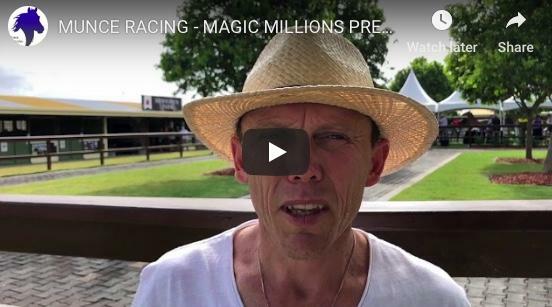 He also provides an update on fellow Magic Millions runners SKATE TO PARIS and OURS TO KEEP ($1M QTIS OPEN), including some big name jockey news! The stable could also have CARTLAND sneak into the field in the rich $242,000 Maiden Plate. Acceptances for the remaining races on the program close tomorrow.